children | Scuffalong: Genealogy. children – Scuffalong: Genealogy. The Wilmington Messenger, 3 January 1906. The Statesville Record & Landmark, 9 January 1906. The Raleigh Enterprise, 11 January 1906. The Union Republic (Winston-Salem), 11 January 1906. 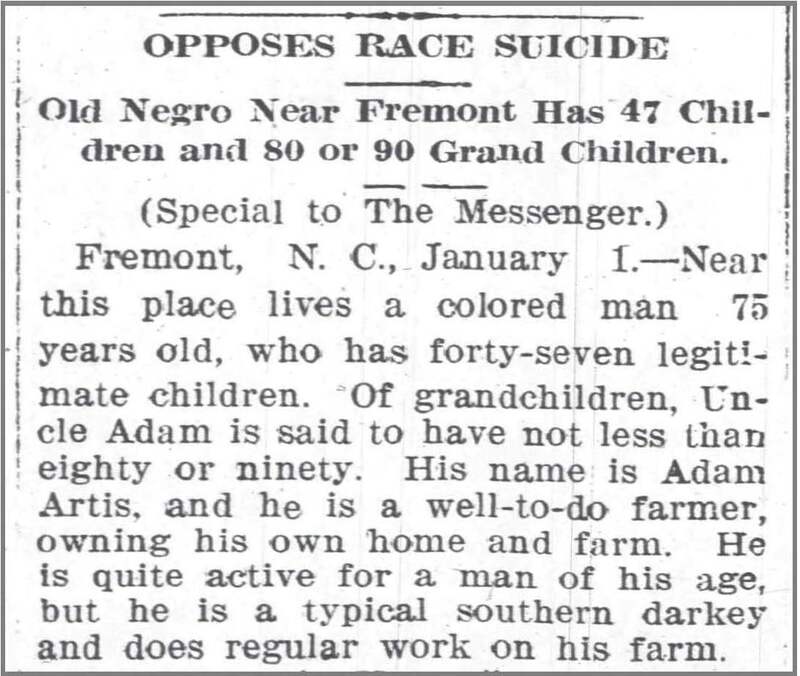 The Dispatch (Lexington), 17 January 1906. The Alamance Gleaner, 18 January 1906. The Salisbury Evening Post, 20 January 1906. Well-to-do farmer — with lots of children. 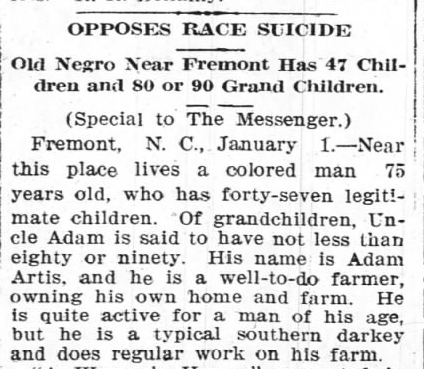 Wilmington Messenger, 3 January 1906.